This article originally appeared in Emory Health Sciences Update, a monthly e-newsletter produced for the Woodruff Health Sciences Center community. Strengthening Winship's research programs and footprint in the cancer world is the name of the game for Kimberly Kerstann, PhD. As associate director for cancer research administration at Winship Cancer Institute, her job is to help Winship stay at the forefront in cancer research while finding ways to increase research efficiency and effectiveness. Kerstann, an Emory-trained geneticist and molecular biologist and former National Cancer Institute (NCI) post-doc in cancer epidemiology and genetics, arrived at Winship in 2009, just before it received designation as Georgia's only NCI-designated center. Her main task then as director of research projects was to incorporate genetic testing into Winship's clinical trials. In 2010, Winship Executive Director Wally Curran asked her to take on administrative oversight for research operations across Winship. At the time, Winship was gearing up to apply for renewal of its NCI grant, which required a 1,000-page submission detailing the history and accomplishments of Winship's four research programs, in cancer cell biology, cancer prevention and control, cancer genetics and epigenetics, and discovery and developmental therapeutics. Kerstann's role in helping compile this submission, which received an "outstanding" score and led to renewal of Winship's NCI grant, gave her important insight into Winship's research infrastructure and how to implement best practices going forward in research administration. In 2016, Winship will submit another renewal, along with a request to be considered as an NCI Comprehensive Cancer Center. To begin this renewal process, Kerstann helped set up the framework for a database to track needed information automatically and hired a new IT director last year to manage the system. The system will link initial pilot grants to their subsequent federal grants to show perpetual progression of individual studies. She has spent a lot of time meeting with Curran and other Winship leaders who manage specific programs, keeping everyone on deadline and helping ensure that proposals are consistent with Winship's strategic plan and that all the numbers in them add up. In the meantime, Kerstann also is working on stretching Winship's dollars and finding savings wherever she can. 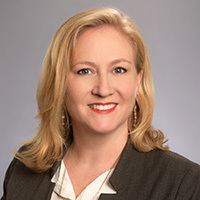 She has worked with the medical school's Trish Haugaard, assistant dean in research administration, over the past two years, for example, to consolidate Winship's cancer genomics program with the medical school-managed genomics core, to create the Emory Integrated Genomics Core. The fun in her role, Kerstann says, is to be involved in the big picture and high-level strategic planning going on at Winship--and then help Winship scientists implement the plan. The challenge? "We are hitting that point in our growth when we want to accomplish so much, but funds are tight. That means being more creative."